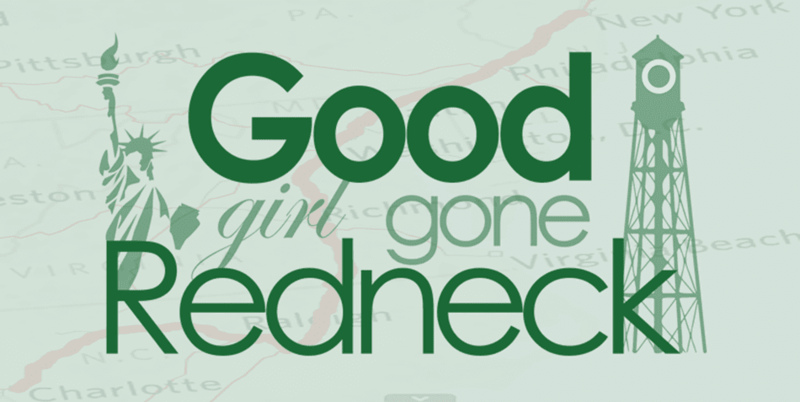 Good Girl Gone Redneck: How do you blog? So. You know what's been happening with me lately. It's obvious I'm filled and consumed with grief after unexpectedly losing my father a month ago. When does one expect to suffer such a loss? I suppose if someone is sick it is less unexpected, right? I guess. I don't think it's any easier, but different. I'm rambling, I know. But that's part of what's on my mind. 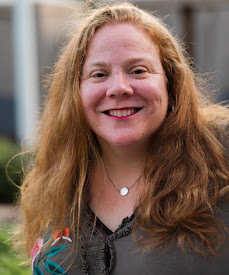 Do you ramble when you blog? Do you write like me? Do you talk about everything and anything? I do. Obviously. And yet, sometimes I don't. I'm not one to come and complain here. Not about things that supposedly matter. I get personal, but I don't get deep. Or is that crap? I do get deep? I talk about what I want to talk about. I've been thinking about how I've been writing about grief. I've been wondering if it's too much for people. You - the people who read my words. I know I have a handful of strong supporters. A handful of you who listen to me and send me love no matter how sad I am and no matter what I have to share. You, those people who have sent me Facebook messages offering love. You, my friends who have mailed me handwritten sympathy cards that I came home to. Phone numbers offered. Ears, shoulders, warm hugs. These come from you - my friends who blog. Blogging friends. But sometimes I say, well, what about the rest of you? Not every reader loves me in a way that my friends do. So maybe the grief is a bit much? Maybe it's a lot to share. And I remind myself I write, not for page views, not for money, but for me. It's why I still blog (to borrow a phrase used at Type-A Parent). I write for me. And maybe my words help someone else out there? Maybe someone experiencing such grief will pick up their pen, or laptop or something and write, too. Maybe they'll put their pain down on paper and share it, or not share it. But it's my space and that's why I use it the way I see fit. And no, nobody has said they have had an issue with my words at all. It's me. It's my mind, ya know? It's my thought process that leads me to thinking what if people think ...? A very good friend this morning told me, 'Write what you need to write,' and she was, and IS, SO right. So today I say what's on my mind, and I'm thankful for the reminder from friends that I can be me here in my space and talk about whatever it is that matters to me. And right now, that's finding my way through the clouds of grief and emotion to see the sun shining in. It will take time. It will take small moments to remind me that smiling is allowed, laughing is okay and sometimes even singing is permitted. I just need to remember to let myself feel that stuff. Let myself do it all. And remember that you are all here as a sounding board, listening, reading, commenting, or not. But either way it's all okay. I'll be okay. Miss you, Daddy. But you taught me to stay strong. You taught me to do anything I ever wanted. You taught me to bring home an A when I didn't think I could. You motivated me. You supported me. And most of all, you loved me. I have others who do those things, too, but I must always remember to do them for myself, as well. You taught me well. I won't forget. Ever. I am sorry for your loss. Grief is a process, follow through with it, and be who you are, nothing else. I appreciate your honesty and I will continue to follow your blog. You are in my thoughts and prayers! So very sorry for the loss of your father. I lost mine six years ago, and I miss him every day. Keep working out that grief, and remember that there is no timetable because everyone is different. It took me 6 months after my dad died to be somewhat "normal" again. I know there were people who thought I should have "gotten over it" sooner. I am so sorry for your loss. My dad dies years ago and I was never close with him. I was raised by my mom so I try to spend time with her. I love the way you write and enjoy reading your words. Oh Andrea.. I'm so sorry for your loss. You are right to feel however you are feeling.. Write what you want to write girl.. It is your blog.. your words. If it helps with the healing to get it out.. you should definitely write about it. Those who matter won't mind.. and those that mind, don't matter! Saying a prayer for you today as you continue to grieve. Give yourself plenty of time and grace during this time... blessings! This is your space. And I agree. Write what you need to write. Those that love you will always stay - no matter what you say. Because that's what "real" friendship is. When my dad passed there was a lot of grief in my writing. I'm glad I had a space to get those words out. Watching people actively grieve is intensely uncomfortable for many people. New grief is raw, no one knows what to say. So they say nothing. Even the people that have gone through it remember the intense loneliness of new grief. The reality is that no one understands, no one can make it go away. Which is exactly why you should write it if you feel any measure of relief from doing so. Knowing that you will come out on the other side. Eventually. "Write what you need to write". A simple sentence but so powerful. I like that she said "need" and not "want" because...that's truly how it is. There are things you need to say...and you should say all of them. I love you friend and I cannot imagine the grief you are feeling right now. I agree with your wise friend. This is your space. This is your writing home. You write what you NEED to write. This IS your outlet. Write what you need to write for YOU. Friends will understand, readers who know you will get it. Maybe not everyone will comment who usually does- some people(I'm guilty)don't know what to say, but it doesn't mean that your words don't affect them. I am truly sorry for the loss of your father. I am so sorry I haven't been over to visit lately! I lost my mom unexpectedly several years ago. I've blogged about my grief as it came up. Each time I did, there was support from friends as well as readers who appropriated what I wrote because they too were going through something similar. I often wonder if reading about my struggles dealing with my husband's health problems gets old for people. But it's one of the main reasons I started blogging. In the 3 1/2 years I've been doing so, I have yet to come across another blogger in a similar situation to mine. I take that to mean, I have a unique perspective to share, and maybe that perspective will help someone else. I truly believe we bloggers need to write whatever it is we need to at the time. Right now you are wading through grief. That's OK. Grief is universal. Everyone will lose loved ones at some point(s) in life, right? Don't doubt your blogging. Trust your gut. You know what you're doing. Yes, write what your heart needs. You have beautiful words and posts about grief do help others. I wondered that as well in the beginning. Those posts are the ones that get less comments but enrich me most. Love you.